Minn Kota has earned top honors at the fishing industry’s most prestigious trade show, the International Convention of Allied Sportfishing Trades (ICAST). 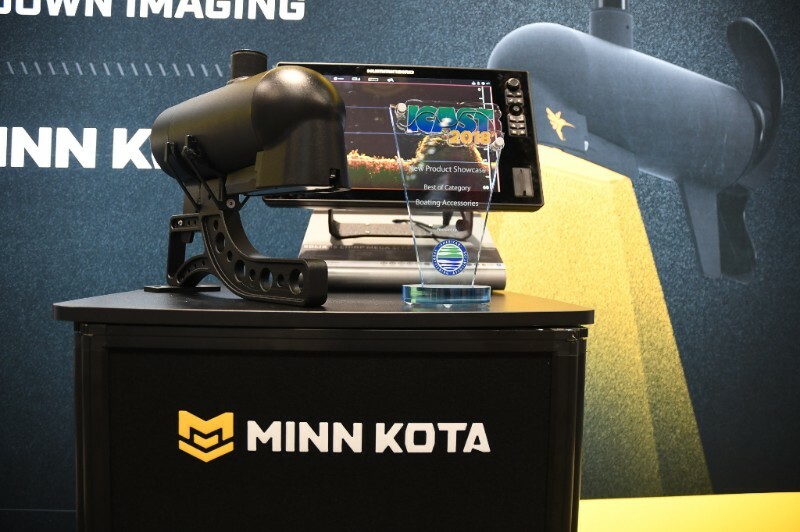 The new Minn Kota trolling motor with Built-In MEGA Down Imaging™ was voted “Best Boating Accessory” by attending media and buyers during the American Sportfishing Association’s 2018 ICAST New Product Showcase. For the first time, anglers will have the option of a trolling motor with Down Imaging sonar built in. Anglers can select a Minn Kota Ulterra™, Terrova®, Ultrex™ or Fortrex® with the Humminbird® Down Imaging transducer integrated into the trolling motor, providing a clean set up at the bow for anglers. Humminbird’s ultra-clear MEGA Imaging™ is the first Down Imaging technology to enter the megahertz range with performance that’s nearly three times greater than traditional 455 kHz frequencies. It results in the clearest, sharpest on-screen images ever seen. With Built-In MEGA Down Imaging, the transducer is housed in the indestructible lower motor unit and the wiring runs through the composite shaft providing clean rigging that is protected from wear and tear. Having the transducer integrated into the trolling motors allows anglers to see, with unmatched clarity, what is directly below the bow of the boat, allowing anglers to make better decisions on where, and how, to fish. As part of the One-Boat Network™, the new Minn Kota trolling motors with Built-In MEGA Down Imaging feature i-Pilot® LinkTM GPS technology. Anglers can utilize i-Pilot Link to control their trolling motor from the Humminbird unit, the app or the i-Pilot remote to “follow” a contour at a set speed – with the press of a button the boat will automatically follow the exact path. The new trolling motors are compatible with Humminbird SOLIX®, second generation HELIX®, and ONIX models and will be available in the fall of 2018. For more information visit MinnKotaMotors.com. 2018 ICAST New Product Winners! Mark Rose Grabs 2018 FLW Tour Angler of the Year!